There's a hungry raccoon at the door! This short clip might be the best thing you see this month. This raccoon knows exactly how to get your attention. This raccoon has just eaten all the food in the bowl outside and needs some more to take home for her babies. 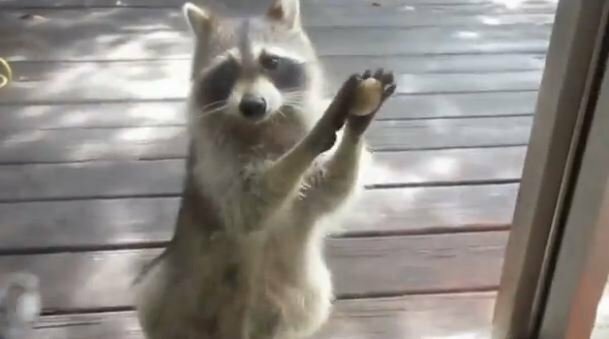 So, this raccoon cleverly knocks on the door with a rock in her paws. An American woman has filmed her little friend, appropriately named Rocksy. She says Rocksy often knocks when she needs a snack or two to take back to her babies.